The Donmar Warehouse hit show Sweat will transfer to the West End’s Gielgud Theatre for a short run of only 50 performances from June 7th. Sweat is written by Lynn Nottage and directed by Lynette Linton. 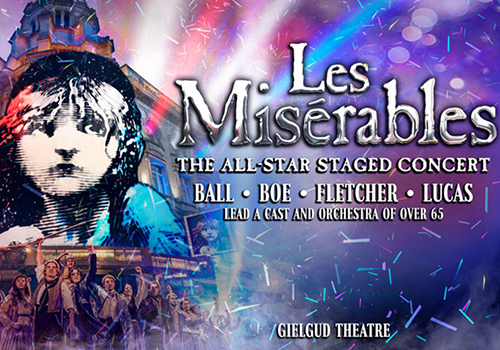 This sixteen week fully-staged concert edition of Les Miserables will run at the Gielgud Theatre whilst the Queen's Theatre undergoes refurbishment. This production stars Alfie Boe and Michael Ball as Valjean and Javert. The Gielgud Theatre box office is located inside the theatre building on Shaftesbury Avenue and is open Monday to Saturday from 10am to 8pm. Pre-purchased tickets can be arranged for collection from the box office and can be picked up at any time on the day of the performance, although ideally at least an hour before the show starts. You may need some form of identification with you when collecting tickets and you will definitely need the credit or debit card you booked with and you booking reference as proof of purchase. Originally named the Hicks Theatre in honour of actor, manager and playwright Seymour Hicks, the venue opened in 1906 as a pair with the Queen's Theatre. Later, the building was renamed the Globe Theatre and then the Gielgud Theatre in 1997, in honour of actor John Gielgud. First opening with Hicks' musical The Beauty of Bath (1906), the theatre has housed countless successful productions, establishing its name as one of the most prolific playhouses in the West End. Early productions included operetta A Waltz Dream (1908), Noel Coward's Fallen Angels (1925), The Improper Duchess (1931), starring Yvonne Arnaud, The Importance of Being Earnest (1939), starring and directed by John Gielgud, The Lady's Not for Burning (1949), with Richard Burton in a supporting role and A Man for All Seasons (1960), starring Paul Scofield, amongst many more. Throughout the late 20th century, the venue hosted productions such as A Season of Barry Humphries as Dame Edna Everage (1976), The Rear Column (1978), starring Jeremy Irons, Noel Coward's Design for Living (1982), starring Vanessa Redgrave and a long run of Daisy Pulls It Off (1983). In 1987, Maggie Smith starred in Lettuce and Loveage, Alan Ayckbourn's Man of the Moment premiered in 1990 and Design for Living was revived in 1995, starring Rachel Weisz. The Gielgud steadily began to expand, housing musicals as well as short-running plays. Denise Van Outen starred in Andrew Lloyd Webber's Tell Me on a Sunday (2003), followed by Judi Dench in the RSC's All's Well That Ends Well (2004), One Flew Over the Cuckoo's Nest (2004), starring Mackenzie Crook, Don Carlos (2005), starring Derek Jacobi, and Catherine Tate and David Schwimmer in Some Girls (2005). Further notable productions include the heralded Equus (2007), starring Daniel Radcliffe, Macbeth (2007), starring Patrick Stewart, Tamsin Greig and Ralph Fiennes in God of Carnage (2008), Bill Bailey's Tinselworm (2008) and Alison Steadman in Alan Bennett's Enjoy (2009). Hit musicals Avenue Q (2009) and Hair (2010) followed. Other major productions include Yes, Prime Minister (2010), with David Haig, The Ladykillers (2011) and the award-winning Chariots of Fire (2012). In 2013, Helen Mirren starred in an acclaimed production of The Audience, following on from her lauded performance in blockbuster The Queen. Noel Coward's Private Lives (2013) followed, starring Anna Chancellor and Toby Stephens, which was then replaced with a stage adaptation of Strangers on a Train (2013), starring Laurence Fox. 2014 saw Angela Lansbury return to the stage in Noel Coward's Blithe Spirit. Following a balcony collapse at the Apollo Theatre, the National Theatre's The Curious Incident of the Dog in the Night-Time transferred to the Gielgud Theatre in 2014, where it continued to play until June 2017. Following this, Jez Butterworth's The Ferryman landed at the venue, fresh from a sold-out run at the Royal Court, directed by Sam Mendes. After extending to May 2018, The Ferryman transferred to Broadway, and was replaced by the RSC's thrilling two-part play Imperium. Imperium I: Conspirator and Imperium II: Dictator play in rep, followed by a revival of Sondheim's Company, starring Patti LuPone and Rosalie Craig. 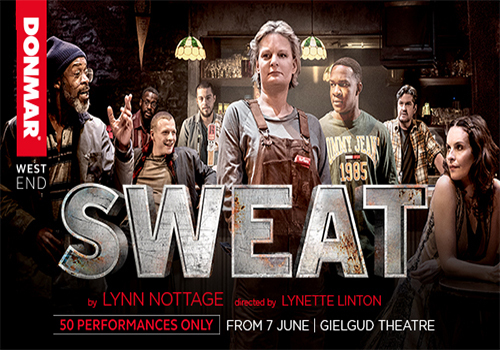 In June 2019, Lynn Nottage's play Sweat will play at the Gielgud for 50 performances, having transferred from the Donmar Warehouse. In August, long-running show Les Miserables will play for sixteen weeks whilst its home, the Queen's Theatre, undergoes refurbishment. The production will be a fully-staged concert edition, and star Michael Ball, Alfie Boe, Carrie Hope Fletcher, and Matt Lucas.